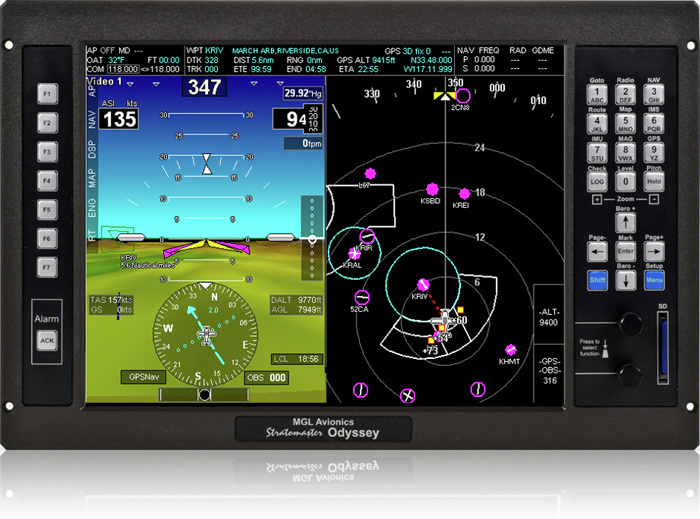 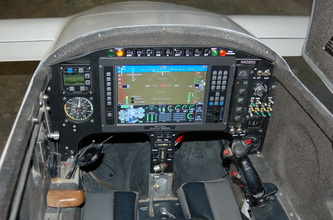 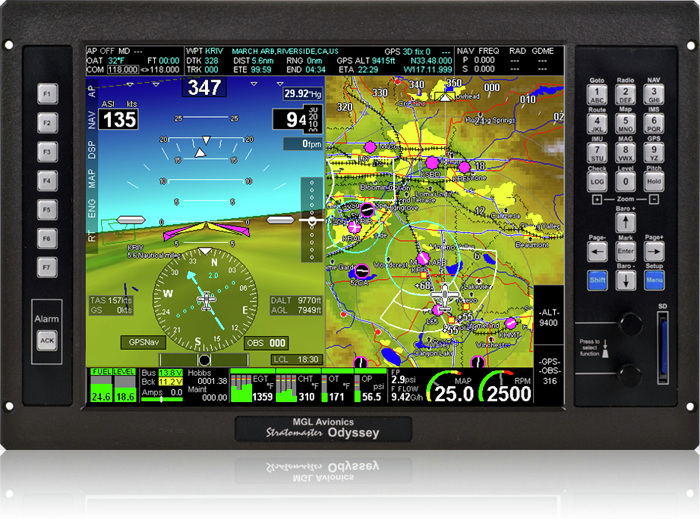 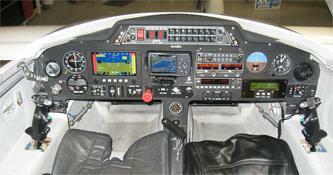 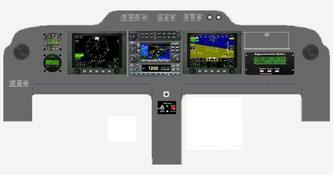 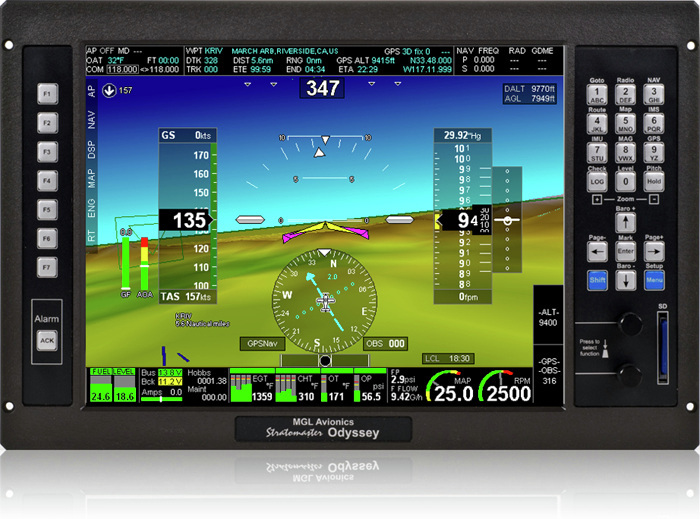 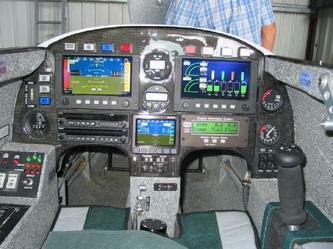 Cozy Instrument panels range from VFR to light IFR to IFR. The Cozy is not a hard IFR icing conditions airplane. 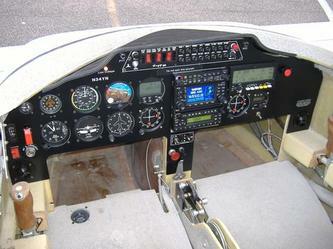 BEING IN THE EXPERIMENTAL AIRCRAFT CATEGORY, THE CHOICE IS UP TO THE BUILDER WHAT INSTRUMENTS HE WISHES TO FLY AND NAVIGATE WITH. 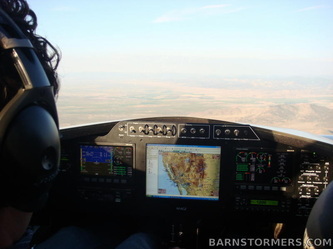 ONE COULD JUST PUT IN DAY CONFIGURATION VFR INSTRUMENTS OR THE STANDARD SIX PACK AND RADIOS, OR EFIS, PFD SYSTEMS, WITH GPS COUPLED 3 AXIS AUTOPILOTS AND THE LIKE. 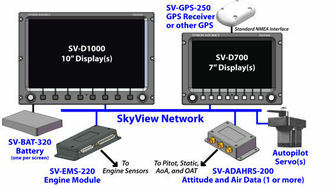 TRAFFIC AVOIDANCE AND LOCATION SYSTEMS THAT PLACE OTHER PROXIMITY AIRCRAFT GRAPHICALLY, DISTANCE-WISE OUT, ON YOUR SCREENS. SENSOR DRIVEN ENGINE MANAGEMENT SYSTEMS WITH FUEL TOTALIZER CAPABILITY AND TIME AND FUEL EXPENDED TO ARRIVAL ARE THE NORM. 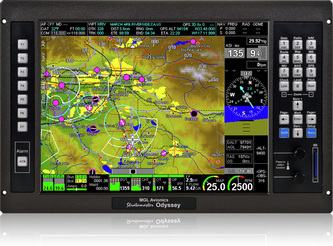 ALL IN EASIER TO READ SCREEN AND GRAPHIC FORMATS. THE AIRCRAFT CATEGORY MAY BE CALLED EXPERIMENTAL, BUT THE INSTRUMENTATION IS NOT. DURING THE LAST 5 YEARS ELECTRONIC FLIGHT INSTRUMENTATION SYSTEMS SUPPLIED TO THE EXPERIMENTAL CATEGORY AIRCRAFT SOMETIMES EXCEED THAT FOUND IN A FEW YEARS OLD MILLION DOLLAR AIRCRAFT. 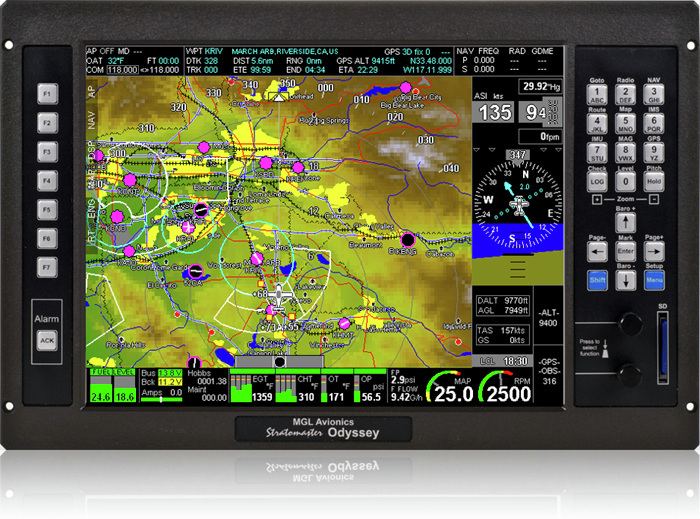 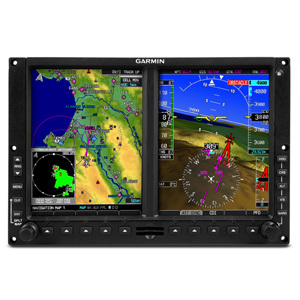 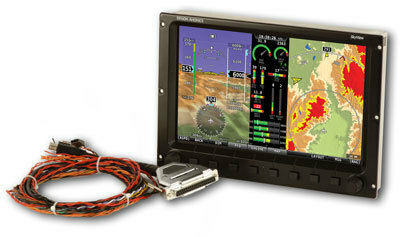 THE PRICES ON THE NICER EFIS AND EMS SYSTEMS ARE VERY COMPETITIVE AND CAN BE SLAVED TO WAAS CAPABLE GPS, AUTOPILOT SYSTEMS. WX WEATHER CAN BE OVERLAID TO PLOT AVOIDANCE! 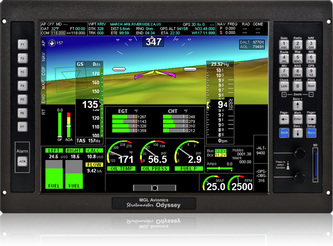 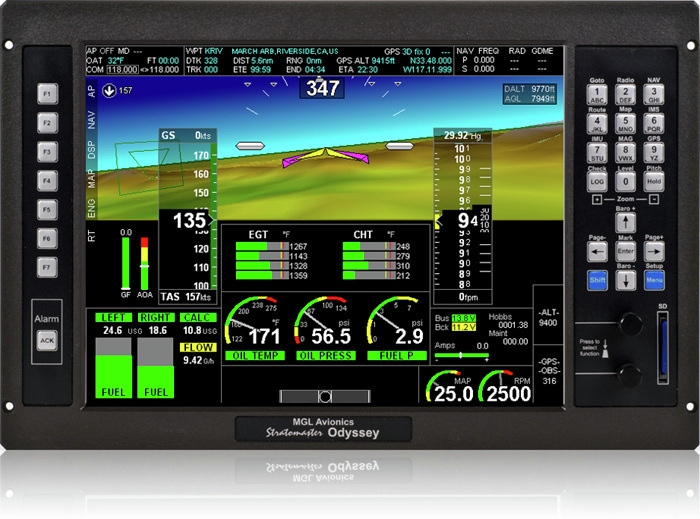 THIS IS LIKE HAVING THE LATEST LEARJET- BUSINESS JET AVIONICS SYSTEMS IN YOUR OWN PERSONAL AIRCRAFT FOR BETWEEN 15-35K. 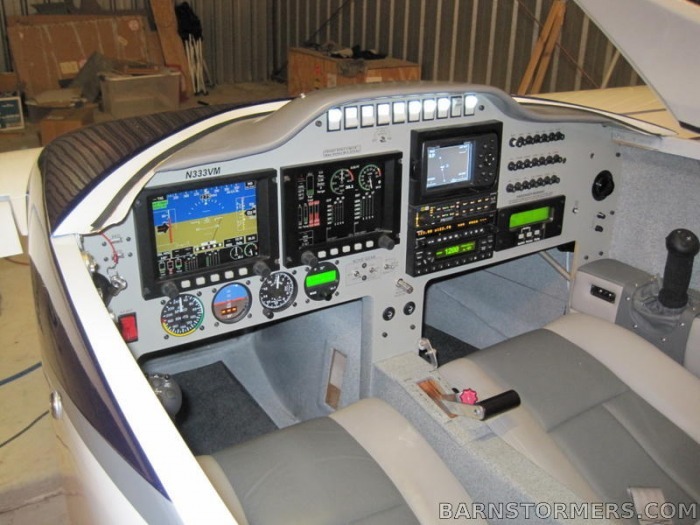 IN CERTIFICATED AIRCRAFT THE SAME WOULD COST 5-7-10TIMES MORE AS A OPTION ON YOUR STORE-BOUGHT CESSNA BIZ-JET. 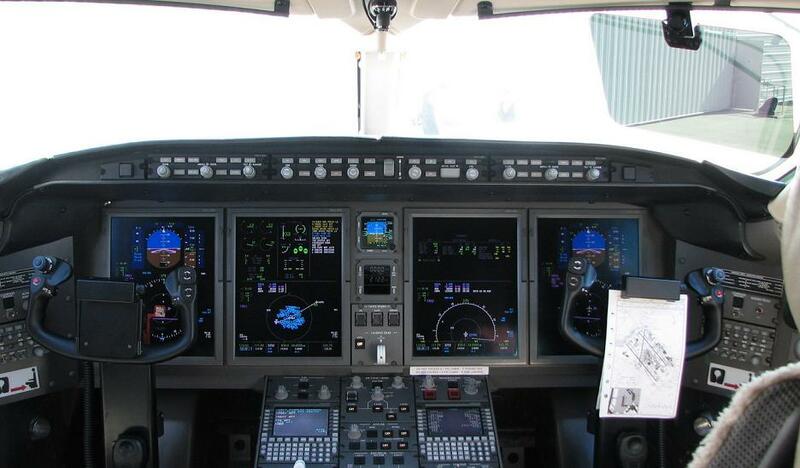 FOR INSTANCE THE FIRST PHOTO IS JUST THAT, A 10+MILLION CESSNA CITATION BUSINESS JET. ALL THE OTHER PICS ARE OF COZY & LONGEZE EQUIPMENT THAT CAN BE JUST AS CAPABLE, DEPENDING ON THE SYSTEM(S). THE SAFETY OF AIRLINER QUALITY INSTRUMENTATION IS READILY AVAILABLE FOR OUR PLANES, AS AN AFFORDABLE, VIABLE OPTION. UNDER CONSTRUCTION. 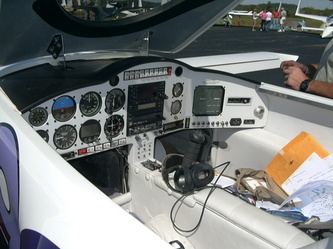 MORE PANELS TO PUT ON THE PAGE.